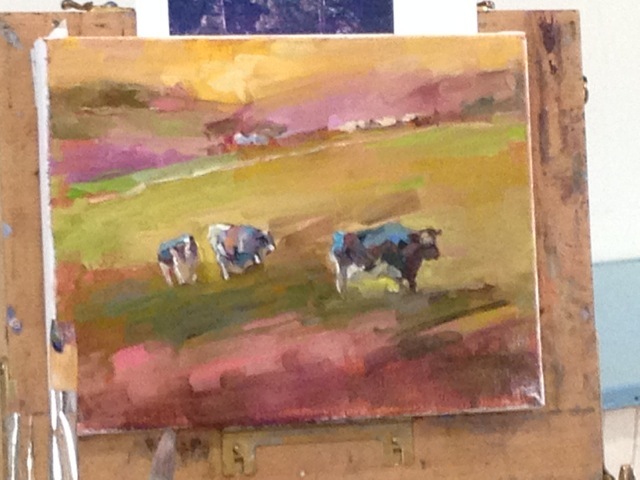 My most recent painting is a complete departure from my usual landscapes. 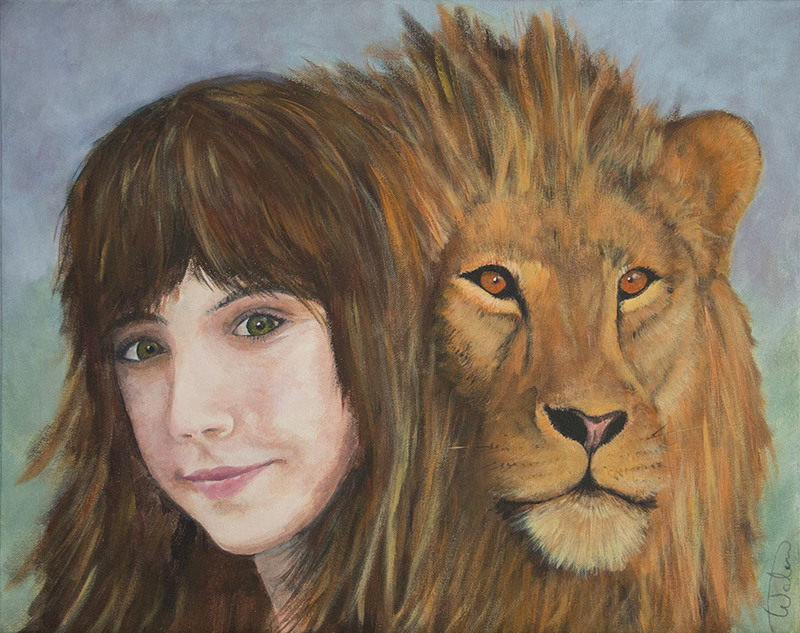 Titled “The Lion and the Lioness” it is a portrait, well two portraits really, of my step-daughter Liza who is returning today from a 5 week trip to Namibia Africa (and her lion friend). Four of those weeks she spent working at an amazing animal rescue and rehabilitation center, where she fed and cared for lions, cheetahs, merkats, baboons, monkeys, warthogs, and a very long list of other animals big and small. I wanted to give this amazing person something to always have of this amazing experience she had (not that she could ever forget.) So I thought why not pair these two magnificent beasts, the king of the jungle and queen of the mall :-), and do a portrait of the two of them, their beautiful manes mingling and representing the joining of two cultures, two creatures, two souls. Africa stole her heart but we are glad to have her home.